We had an…ice day? For the first time since I started my job, we had a snow/ice day-hooray! This meant an extra cup of coffee, a few hours on Pinterest and watching my favorite show ever- Boy Meets World. Also? Lunch with J! Rather than making pb&j sandwiches, we decided to try out a new lunch recipe. We ate it warm, but you can also eat it cold. 2. Caramelize onions with olive oil, garlic, salt and pepper. 3. 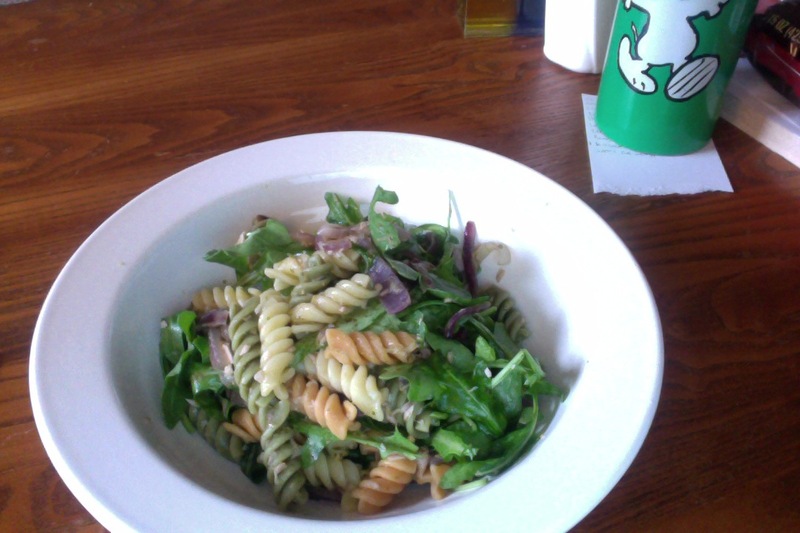 Toss tuna, onion mixture, pasta, arugula together with lemon juice and pesto. Looking forward to the rest of my surprise long weekend! So, J got a new job, which is awesome. However, the hours are opposite of mine. 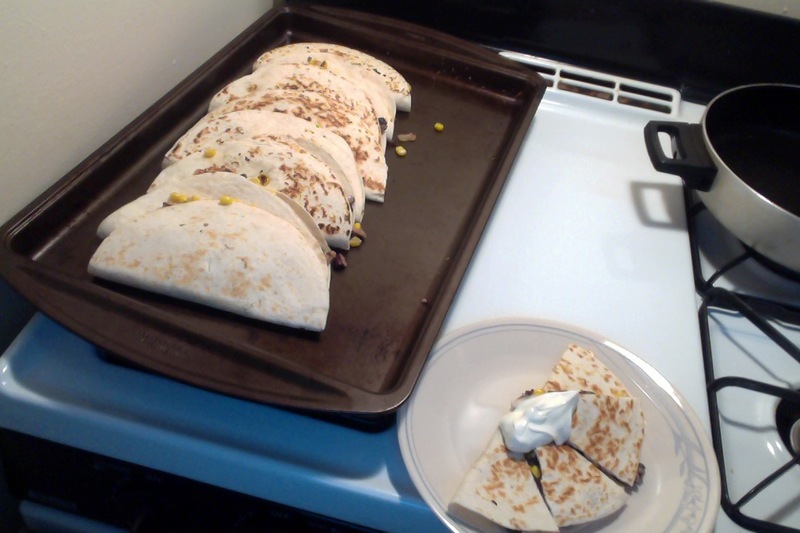 Therefore, he gets all of the food I make 12 hours or more later than I cook them…Tonight’s menu? 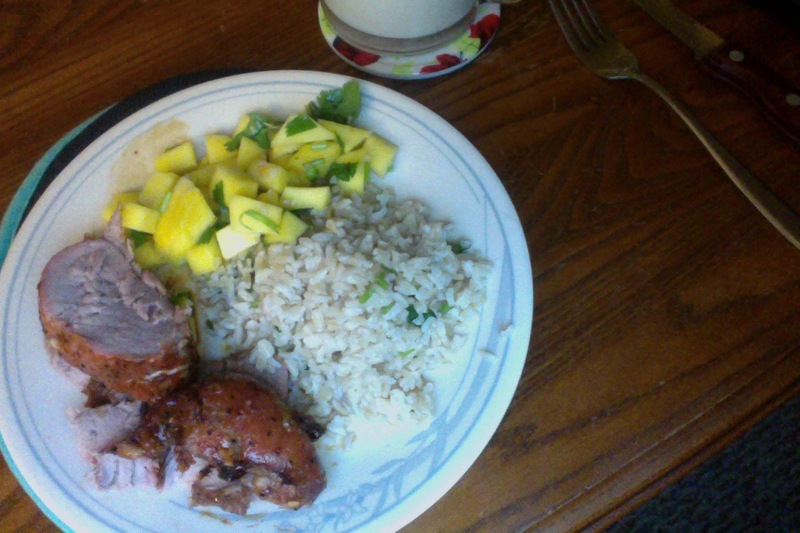 Sweet and spicy pork tenderloin with mango salsa and cilantro lime rice. Seriously. How good does that look? 1. Roast tenderloin at 375 with garlic salt and ginger (40-45 minutes). 2. Mix together the last three ingredients (you make it as spicy as you want), and pour over pork. Roast 10ish more minutes. 3. Mix together in a bowl and refrigerate until dinner. 4. Cook rice according to package. 5. Mix oil, cilantro, lime juice and salt. So good! Let’s hope J likes it when he comes home!